Many of us were raised watching thousands of movies and television shows. The style, technique and methods used in film and TV are so familiar to us, we process them comfortably. To some degree, we now expect these elements to appear in the novels we read — if not consciously, then subconsciously. We know what makes a great, riveting scene in a movie, and what makes a boring one — at least viscerally. And though our tastes differ, certainly, for the most part we agree when a scene “works” or doesn’t. It either accomplishes what the writer or director has set out to do, or it flops. As writers, we can learn from this visual storytelling; what makes a great movie can also strengthen a novel or short story. Much of the technique filmmakers use can be adapted to fiction writing. Just as your novel comprises a string of scenes that flow together to tell your story, so do movies and television shows. However, as a novelist, you lay out your scenes much differently from the way a screenwriter or director does. Whereas you might see each of your scenes as integrated, encapsulated moments of time, a movie director sees each scene as a compilation of a number of segments or pieces — a collection of camera shots that are subsequently edited and fit together to create that seamless “moment of time.” By thinking in terms of segments in creating each scene, writers can create a dynamic, visually powerful story. Think through your scene and try to break it up into a number of key moments. First, you have the opening shot that establishes the scene and setting. Then, identify some key moments in which something important happens, like a complication or twist, then jot those down. Then write down the key moment in the scene — the “high moment” — that reveals something important about the plot or characters. That should come right at or very near the end. You may have an additional moment following that is the reaction or repercussion of the high moment. Now you have a list of “camera shots.” Think of each segment on your list, then imagine where your “camera” needs to be to film this segment. Remember, you are in a character’s POV — either a first-person narrator telling and experiencing the story or a third-person character in that role. So consider where that character is physically as he sees and reacts to the key moments happening in your scene. You now have your “direction” so that you can write this scene dynamically. Come in close to see important details. Pull back to show a wider perspective and a greater consequence to an event. Consider what sounds are important in this scene. They could be ordinary sounds that give ambiance for the setting, but also think of some sound or two that you can insert into the scene that will stand out and deepen the meaning for your character. Church bells ringing could remind a character of her wedding day as she heads to the courthouse to file divorce papers. Birds chirping happily in a tree next to a grieving character can sound like mocking and deepen the grief. Colors can be used for powerful effect. Different colors have strong psychological meaning, and filmmakers often use color very deliberately. Red implies power; pink, weakness. You can “tinge” your scenes with color and increase the visual power. Color can also add symbolism to an object or be a motif. Want to learn more? A great book to read is Patti Bellantoni’s If It’s Purple, Someone’s Gonna Die. The angle of a “shot” also has powerful psychological effect. A camera looking up at a character implies he is important or arrogant or powerful or superior. A camera looking down implies someone who is weak or inferior or oppressed or unimportant. If your character is in a scene with others and feels superior, you might have him elevated or being seen from below to emphasize this. A woman being fired might be sitting in a chair with the boss standing over her. These little touches add visual power. Consider adding texture. Too often, novelists put their characters in boring settings, without saying where they are, what time of year it is, or what the weather is like. We exist in a physical world, and movies showcase setting and scenery in great detail. Add texture to your scene by infusing it with weather and sensual details of the surrounding area. The feeling of the air in late fall in the middle of the night in Vermont as two characters walk through a park is texture the reader will “feel” if you bring it to life in your scene. Novelists who think like filmmakers can create stunningly visual stories that will linger long after the last page is read. Spend some time using a filmmaker’s eye to take your scenes to the next level, giving them dynamic imagery and sensory details as well as deliberately placing characters, colors and sounds in your scenes for targeted psychological effect. If we want to move readers emotionally by our stories, the best way is to bring our novel to life by using cinematic techniques. Have you tried using these cinematic techniques to bring your story to life? Can you think of a novel you’ve read that used colors or sounds in a significant symbolic way? Share in the comments! S. Lakin is the author of sixteen novels and five writing craft books. Her award-winning blog Live Write Thrive gives tips and writing instruction for both fiction and nonfiction writers, and her Writer’s Toolbox series gives fiction writers everything they need to know to create compelling, solid stories. Her newest release, 5 Editors Tackle the 12 Fatal Flaws of Fiction Writing, features more than sixty detailed Before and After examples of flawed and corrected passages to help authors learn to spot flaws in their writing. I recently listened to an audio book with a scene that took place on a beach . . . in a hurricane . . . the beach house was burning down . . . the four characters in the scene were having a life changing conversation. There was no noise in the scene (your point no. 3). The characters weren’t yelling over the storm nor were they soaked to the skin (point no. 6). The scene, which was the climax of the story, should have been powerful with all those elements in it, but it wasn’t fully visualized. The scene failed and brought the whole story down with it. I find it helpful to think in terms of contrasts when deploying some of these techniques. Also, I personally think it’s important not to get too cinematic in your writing. Fiction is its own art form having mostly to do with the wonder that is language. It stands well on its own. In my opinion, to the extent your novel is “unfilmable,” the better your work will be. Hi Ed, the amount of cinematic technique, of course, can vary in a novel. Most writers, however, use almost none, and not any with deliberateness. My aim in writing and teaching cinematic technique for novelists is to get writers thinking of these tools and using them in ways that will help show their scenes better. Fiction can’t just “stand on its own” with just beautiful language. Novels are a form of storytelling and to tell a story, a writer has to convey that story somehow and not just summarize in the manner of a story synopsis. So, I suppose I wholly disagree with your conclusion, for the more “filmable” a novel is, the better the work will come to life and be approachable to the reader. The key is in getting readers to feel emotion. As Michael Hauge says: “The objective of any story is to elicit emotion” and you can’t do that if you don’t “show” a story. Telling about one isn’t going to cut it. At least from my experience over 30 years of writing, and also critiquing and editing 200+ manuscripts a year. Your argument likely holds for popular fiction, but writers like William Burroughs, Thomas Bernhard, Samuel Beckett, Claude Simon, Nathalie Surrault, Alain Robbe-Grillet, Mark Leyner, Marie-Claire Blais, John Barth, William Gass, and a host of other celebrated literary novelists might tend to disagree. Of course there are plenty of writers who don’t write cinematically, as there will always be readers that prefer those other styles. However, as Sol Stein said in Stein on Writing: readers today, used to TV and movies, want their stories to be more visual. They want to watch the story unfold instead of being told about it. I believe the bulk of readers would rather be entrenched in a sensory-filled visual experience by reading scenes happening in real time instead of reading pages of description and backstory. For those writers who want to write those kinds of books, this technique is invaluable. And even the more literary writers who opt for less showing than telling can still benefit from occasionally “shooting” a scene. I personally feel the more a writer “shows” instead of “tells” a story, the better. I love point #5. Something to consider. I tend to write what comes to me while in the scene which doesn’t always include all these points. I have a habit of focusing on one or two points without remembering the others because it’s what I’m best at. I usually use a scene checklist to make sure I haven’t forgotten anything. A checklist is a great idea. Want to share it or some of the points on it? 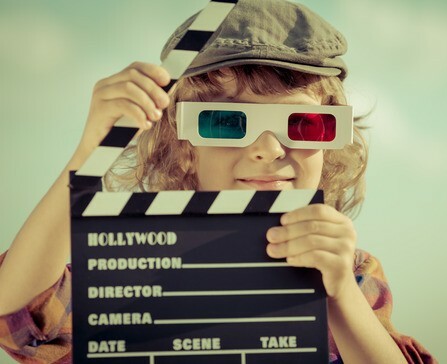 Great tips for thinking from a video perspective when storytelling. Any fiction writer will benefit from this checklist. Thanks so much! A really illuminating article – thank you. I was particularly struck by the idea of ‘subliminal’ underlining of status – having the powerful person elevated or standing, perhaps because my character is trying to establish his leadership in a group at this very moment. I have totally legitimized movie/tv watching to myself as an inspiration for my writing. If you watch something like ‘In Plain Sight’ with the subtitles on, it is a master class in dialogue writing and even body language. The beautiful photography of something like “The Eagle” was inspirational for me – how a Roman might have prayed to his ancestors, the marshes (nothing like Calleva Atrebatum today), the hills, the jungle-like opening scene that set up a parallel with Vietnam/Apocalypse Now/ which leads to “Heart of Darkness”. I also like the idea that in a movie, there is nothing in the scene until the crew(director/writer/actor/set dresser) fill it with carefully chosen details. I believe the page is similarly empty until the writer fills it with sight/sound/lighting/mood/something happening. We agree with many of the points made in this post; and to be honest, we don’t tend to think much about the symbolism of colours or sounds as we create a scene. So we’ll be paying more attention to that in future. Another way we like ‘showing’ rather than ‘telling’ — though this isn’t truly cinematic, as it’s internal — is by exploring the senses, other than sound and sight. Thank you for your piece. Many writers begin to engage with us in The Write Space, having no idea that words have energy, can “paint” pictures, can really “sound” and can excite. Many people – children included, have been taught to just write anything – as I call it Jigsaw Writing where words have to fit and grammar has to be correct and spellings in order. The imagination is limitless and that is the point with good writing – to try to harness that. One adult even asked me if it was ok to write something from her thoughts. That is how constrained many people have become. … but… up to what point do you think we should “describe”? Should we let some to the imagination? Or should I continue like I do… showing the feeling and fulfilling the senses? What is your input on this? It’s a tough call, Amyah — but it sounds like your readers are enjoying what you’re doing!